Victorians are passionate about recycling, and we are great at it! However our recycling system is in crisis and is currently at risk of collapsing. This is primarily due to Australia’s unsustainable levels of waste generation and market failure. But there is good news: we believe there are key actions that local, state and federal governments can take to help solve our recycling crisis. The solutions aren’t quick fixes but they can save and strengthen our recycling system. Communities feel let down and frustrated that their recycling efforts are not resulting in the recovery of materials and the creation of new goods made from recycled content. There are social, environmental and financial costs arising from the recycling crisis. Councils are each facing around $20,000 to $30,000 in additional costs each week sending their kerbside recycling to alternative recyclers or, where an alternative recycler can’t be found, to landfill. SKM received more than half of the State’s recycling so the closure of its facilities has created a significant shortfall in recycling capacity across Victoria. The solutions identified below will help make Victoria’s recycling industry sustainable and result in the community’s kerbside recycling being properly sorted, processed and reused. Introduce a container deposit scheme to Victoria. Require all consumer packaging sold in Australia to display the Australasian Recycling Label to improve community understanding of what is and isn’t recyclable. Banning /regulating the production and importation of hard-to-recycle plastics. 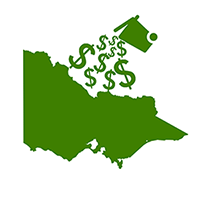 Investigate and support options to collaboratively procure kerbside recycling services to help attract new investment in recycling in Victoria. Download the full Rescue Our Recycling Action Plan. 2. Contact your local State MP to voice your support for the Victorian Government introducing a container deposit scheme, which provides a refund for bottles and cans when the empty packaging is returned for recycling. 3. Keep recycling, and make smart shopping choices by choosing options that produce less waste. For example buy items that come in reusable containers or recycled packaging, take reusable coffee cups and recycling bags with you, buy items with less packaged waste (such as fruits and vegetables that aren’t in plastic tubs). If you come across a product with excessive packaging, let the producer and retailer know it’s not ok. Write to them and tag them on social media – businesses listen to their customers. 4. Rather than throwing out items you no longer want, think about how they could be reused – either by yourself or others. List items on Ebay, Gumtree, Facebook Marketplace or other buy, swap sell groups and noticeboards. Waste is an enormous issue for Victorian communities. Ensuring rubbish is correctly disposed of is vital for councils, ratepayers and our environment. It also means that our streets and towns are clean and liveable. 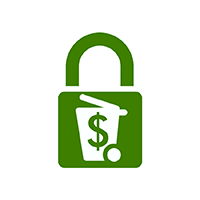 Landfill levy costs are passed down to ratepayers through garbage charges for kerbside collections, gate fees at landfills/transfer stations, and through waste management charges on rates notices. 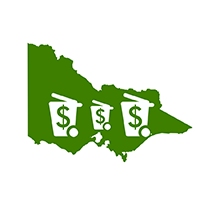 With the goal of providing further incentives for Victorians to improve their resource recovery, the Victorian Government substantially increased the landfill levy back in 2010; and they have since continued to raise it annually. After funding State environment agencies, the remaining revenue from this levy is placed in the Sustainability Fund to support initiatives in waste diversion, innovative resource efficiency projects, climate change and sustainability. At 30 June 2018, the balance of the Sustainability Fund was $511 million. The State has the funding available to urgently tackle issues such as waste diversion, resource recovery and other initiatives to solve the current recycling crisis.